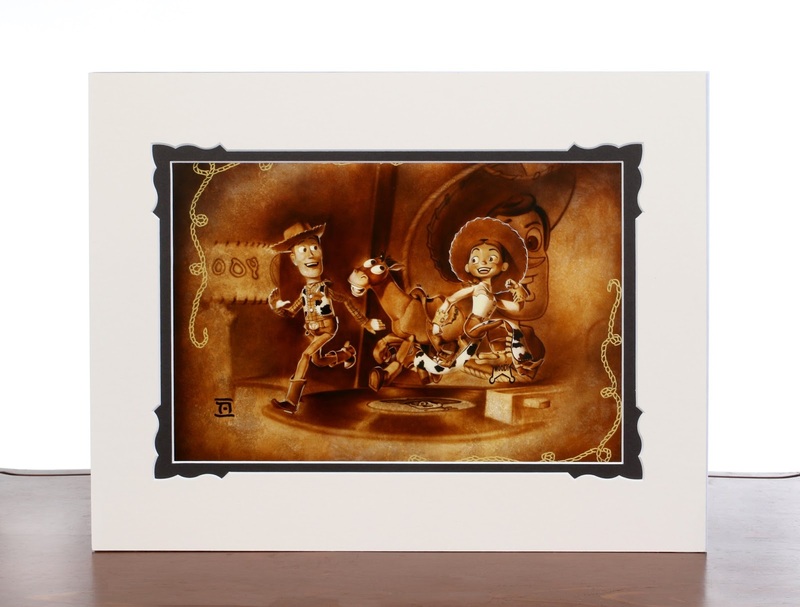 By renowned independent licensed artist Noah (yup, just Noah), in partnership with Disney, comes this fantastic new Toy Story 2 inspired deluxe print— "Round Up Gang" featuring Woody, Bullseye and Jessie! Admittedly this is a bit different than the art I usually gravitate towards (as it's more realistic as opposed to "cute-tified" and/or stylized), but I was really drawn to this design. I feel Noah's style fits perfectly with this scene; the image he's created here has a lot of charm and very much captures the heart of the film. 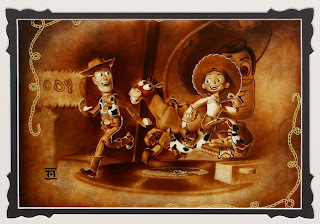 I really love his use of warm sepia tone colors and textures to give it that vintage, western look. Noah's ability to blend airbrush and traditional painting techniques so flawlessly impresses me to no end. And for the price, I couldn't miss out on a deal. This matted 14'' H x 18'' W deluxe paper print is only $39.95, which is a very affordable price for fine art. I look forward to getting this in a nice frame to complete the look! A big thanks to my wife Brita who got me this for this past Christmas. This is available exclusively at Disney Parks, but I have good news to those who don't have an upcoming trip planned. "Round Up Gang" is currently available for a limited time on the Disney Store's website! You can pick up this deluxe paper print HERE ($39.95, as mentioned) OR, if you'd like this print to come framed, they have that option HERE ($160). If you're looking to go a bit higher end, you can get also get it as a giclée rolled gallery wrapped or framed canvas HERE (price ranging from $175-$525). 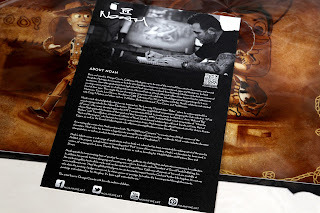 Noah is an extremely talented artist with a wide range of works (just check out his Disney prints alone to see what I mean). The story he shares about his journey to becoming a successful artist, as well as his impressive portfolio of work, is just incredible! I would highly recommend learning more about him on his website HERE and be sure to follow him on Facebook, Twitter, Instagram and YouTube. I look forward to keeping an eye out for what Noah does next. Do you have a favorite design of his? Shout it out in the comments below!